The time has come yet again for us to say goodbye to one season of anime and say hello to another. This was a bit of a lean season for me, as despite seeing 19 shows on Crunchyroll in some capacity, I only stuck with 14 total shows until the end of the Spring season. Nevertheless, I would still like to recognize some of the shows I saw this past season. First up, my production awards. 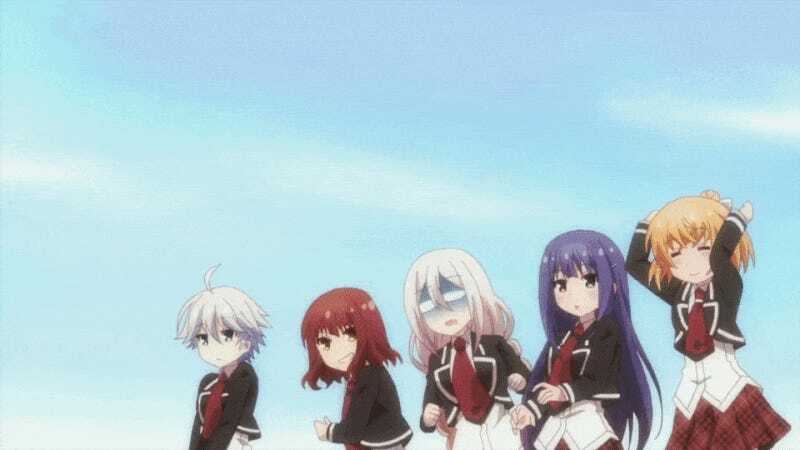 Unlike last season where many of the productions from big name studios fell a bit flat, allowing Studio DEEN (of all studios) to swoop in from the shadows and claim this recognition, it was a little harder for me to choose this season. BONES, for example, went into overdrive this season churning out not one, not two, but three different shows all with high quality visuals. However, I am shamelessly a fanboy of Studio Trigger, and they were in rare form this season, from the stunningly beautiful Kiznaiver to the hilariously quirky Space Patrol Luluco that bore fruit to a concept years in the making. As I mentioned earlier, BONES was extremely busy this season, and despite the workload, they turned in absolutely gorgeous animation in all of their works. This includes Bungo Stray Dogs, their first title to appear on Crunchryoll since 2014's Chaika - The Coffin Princess. Out of all of the shows I saw on Crunchyroll this season, Bungo Stray Dogs not only had the highest overall level of visual quality, but consistency as well. Rarely did any of the characters go off model in a way that truly stood out. On top of that, the show never compromised its beautiful, though eccentric, style. If there is one thing to expect from Trigger productions, it is a visual style that is uniquely their own. Kiznaiver might actually be the best looking Trigger show yet, not just in animation quality, but overall style. Each of the characters, all originally designed by Shirow Miwa, are instantly recognizeable, something that greatly helps in the few instances where the animation slips up a bit. Combine this with probably the best backgrounds I saw this season, and Kiznaiver is just a pure visual treat. It happened all the way back in the first episode, yet this scene was easily one of the most iconic of the entire season. It not only set the tone for Flying Witch’s excellent “magically mundane” style, it cemented the comedic friendship between Makoto and Nao. The harvesting and resulting cry of the Mandrake were good enough on their own, but what sets this moment over the top is the awkward writhing of the Mandrake as Makoto presents it to Nao, which includes the Mandrake folding its “arms” in a rather sassy manner. Admittedly, Kiznaiver received major help from the fact that most of the shows I saw this season didn’t actually have stories, or rather traditional stories, at least. Realistically the only other show I was even considering for this was The Lost Village, and suffice to say, Kiznaiver managed its story better in the long run. Which is rather odd since both shows were written by the same writer. While Joker Game lacks a traditional story, it still has exemplary writing. I must tip my hat to Taku Kishimoto for being able to fit different flavors of thrilling espionage tales into mostly single-episode bites. Joker Game is a show that demands your utmost attention as several key details in each episode are surprisingly subtle and can occasionally be really easy to miss. The truly amazing thing was how I managed to stay completely engaged despite only one of the main characters receiving any real character development over the course of the season. Man what is it with Crunchyroll and their drought of top shelf action shows this year? 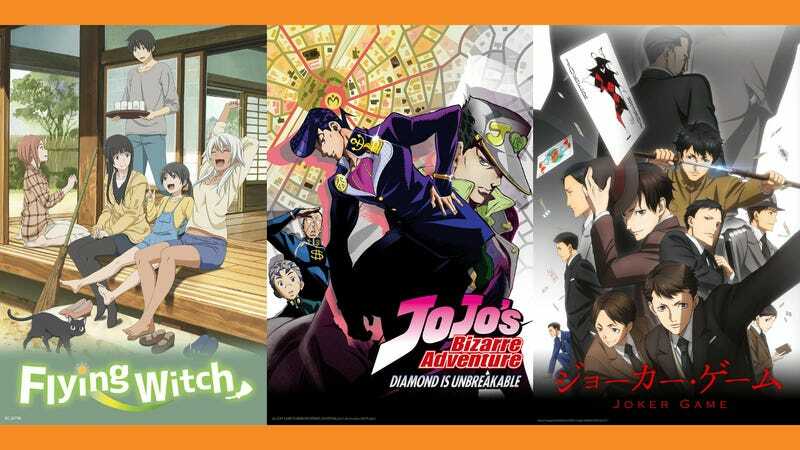 Re:ZERO gets the nod in what was ultimately a three horse race between itself, Bungo Stray Dogs, and JoJo’s Bizarre Adventure because I ended up dropping the other full length action shows I saw on Crunchyroll this season. 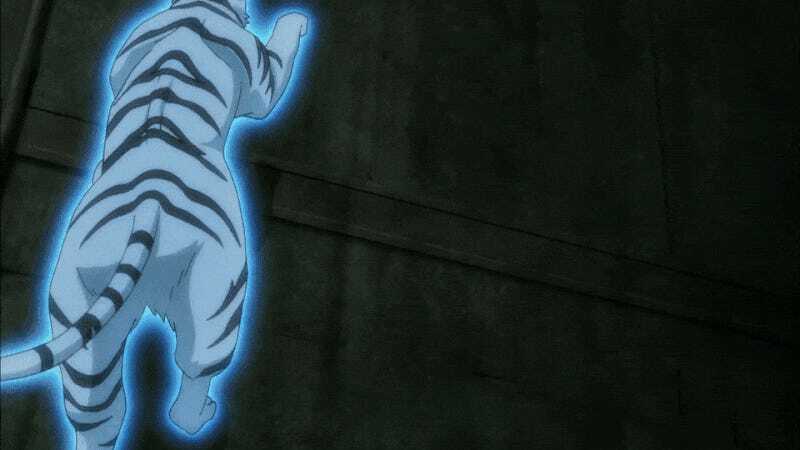 It was a really close call between JoJo’s and Re:ZERO, but I just ended up enjoying the action set pieces in Re:ZERO this season more than JoJo’s. Heresy, I know, but I expect JoJo’s to rebound in its next cour as they start to get to the real meat of the Diamond is Unbreakable arc. This was probably the easiest seasonal award I’ve given out this year, as JoJo’s ran unopposed this season as I didn’t finish any other adventure shows this season. Even if I did, JoJo’s was still going to walk away with this award as it is freaking JoJo’s Bizarre Adventure. The genre is literally in the title of the anime. While JoJo’s won my favorite adventure show award with ridiculous ease, this was one of the hardest choices I had to make this season. On the one hand I think Flying Witch is a better overall show than Anne-Happy, but on the other hand, Anne-Happy was the funnier show to me. Ultimately I decided to go with Anne-Happy since one of the goals of a comedic work is to make you laugh, and Anne-Happy succeeded in doing that. More impressively, the show managed to do this while strapping each of the main characters with one or two core jokes that they then remix throughout the show’s run to amazing results. Add in some of the best use of cut away gags I’ve seen in quite some time and you get one of the most surprising comedy shows I’ve seen in a while. Unlike your typical drama which features an overarching narrative, Joker Game instead takes the episodic route ala Mushi-Shi. The result is a total of 10 enthralling tales about spies in World War 2, trying to navigate the waters of a political scene that becomes increasingly complex and turbulent as time goes on. Interestingly enough, sometimes the episodes don’t actually follow the spies central to the show, but rather another character whose tale the spy in question crosses paths with. Episodic drama isn’t everyone’s cup of tea, but for me it is right up my alley. Luluco is a love letter to the fans of Trigger by Trigger. The more works from Trigger you’ve seen, the more you are going to get out of Luluco. Being the massive fan of the studio that I am, I had one hell of a time watching every second of the insanity that is Space Patrol Luluco. The future of the Ultra Super Anime Time block is currently unknown as they are taking the Summer season off, and should the block not return, Luluco was a fine swan song for an animation block that provided me with many quality shorts. Now let’s move on to my favorite character awards. Chinatsu is the latest in an increasingly growing line of child characters in anime that I just can’t help but love. Her innocent naivete combined with her enthralled enthusiasm towards the magical things she gets to experience thanks to her cousins Makoto and Akane, both of whom are witches, is a big part of what makes Flying Witch work. What is normal to Makoto and Akane is fantastical to Chinatsu, and the nonchalant way she often tells her mom that she’s about to head off and do something magical with her cousins is absolutely adorable. It was a tough call between Akane and Chinatsu, as they both were sources of a lot of great moments in Flying Witch, but I went with Chinatsu because while Akane aided the show’s more comedic moments, Chinatsu made the show’s more magical moments shine brighter than most of them had any real reason to. Lt. Col. Yuuki is the man. The man with the plan...or rather plans. Yuuki is a complex individual who plans for anything and everything, somehow. He’s so far ahead in the game of espionage that no one stands a chance at catching up with him. I wouldn’t be surprised if Yuuki is able to even evade death, he’s that damn good at plans and disguises. Long story short, you can’t try to trick the silver fox that is Lt. Col. Yuuki. You’re just a child playing checkers while he’s playing chess. Much like last season the overall quality of villains in the shows I saw this season was rather lacking. That’s not to say I didn’t find a few villains that I liked, though. It just says a lot that my favorite villain of the season only appeared in the first three episodes of Re:ZERO and hasn’t appeared since, outside of the few times they included the show’s first OP or the visuals to the show’s first ED. Of course, Elsa helped her own case by being just a fun, psychotic character that dominated the screen during her few appearances. Here’s hoping she returns to slice open stomachs in Re:ZERO’s second cour. This is one Elsa I refuse to let go. And lastly my favorite show this season. Unlike last season where Rakugo was a lock in for my favorite show of the season with a few weeks left, this time it went down to the wire with Joker Game and Flying Witch going back and forth. What gave Joker Game the edge in the end was I asked myself which of the two shows I’d miss the most, which ended up being Joker Game. I greatly enjoyed Flying Witch and it helped me wind down after work every Saturday and it has some truly stand out moments that I will remember for quite some time, but Joker Game engaged me unlike any other show this season. For crying out loud I actually took the time to make an in depth guide to help people tell the D-Agency spies apart from each other and which one appears in each episode. If that’s not a sign of how much I enjoyed this show, then I don’t know what is. There you have it, my favorites from Crunchyroll’s Spring 2016 season. So what about you guys? Which shows did you like from this season?